ZOE Thomson has a dream to make the Australian Olympic sailing team for the Tokyo 2020 games. 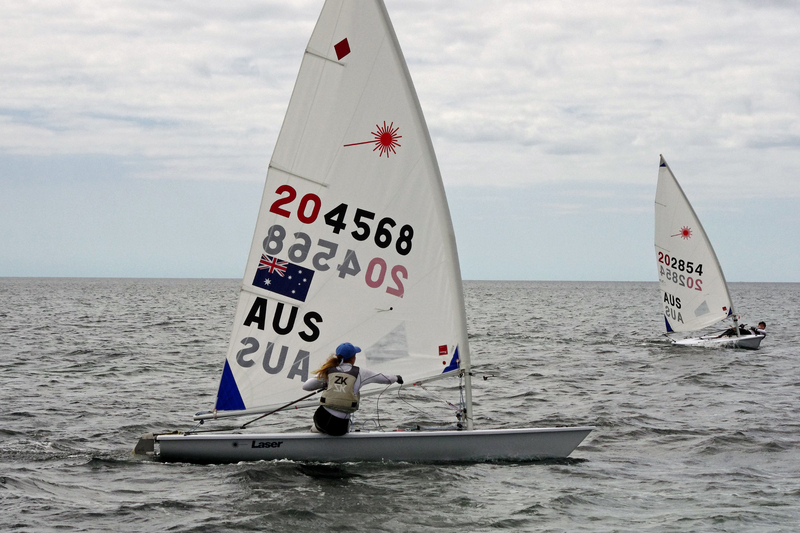 It is a dream that is within reach for the 19-year-old Fremantle resident and current youth laser radial world champion, but she still has a lot of work to do to achieve it. Starting sailing when she was just 8-years-old at the East Fremantle Yacht Club, Thomson now spreads her 15-20 hours a week of training and racing between the Royal Freshwater Bay Yacht Club, Fremantle Sailing Club and Sydney as she prepares to compete for Australia in four international regattas in Denmark, Belgium, The Netherlands and Japan. “I enjoy sailing purely because it is such a unique sport, with such variable conditions-it really tests every aspect of a person or athlete and is far more complex then I would have ever imagined,” she said. “I am very lucky to be from Fremantle as we have amazing sailing conditions with the Freo Doctor which allows high quality training. Having aged out of the youth competition, she said competing in August’s Laser Radial World Championship for the first time against seasoned Olympians was “a big step up”. “Lining up against medallists from the past few Olympics is fairly daunting, but being my first year in open events it is exciting to learn from and race against people that I have looked up to for such a long time,” she said. “Watching Rio 2016 last year was so inspiring and I someday hope to be on the same stage representing my country and winning a medal. Thomson said her Australian sailing campaign costs her as much as $35,000 a year and while it is mostly covered, the Australian Sports Foundation has gotten on board to help her raise the difference. The fundraising campaign will help her cover travel, equipment and accommodation costs and donations are tax deductible. Visit www.asf.org.au/athletes/zoe-thomson to donate or www.zoethomsonsailing.com to keep up-to-date with the sailor’s progress.